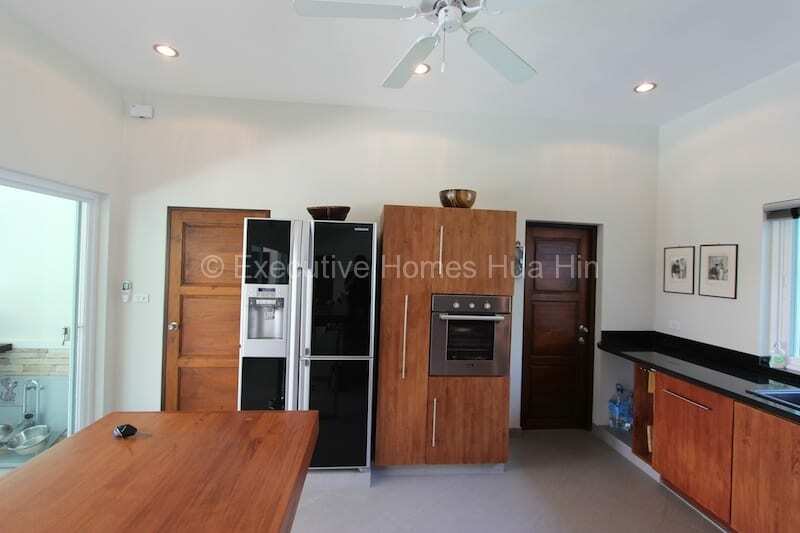 This a Hana Village home for sale, located in a development close to the beach and many boutique resorts and restaurants. 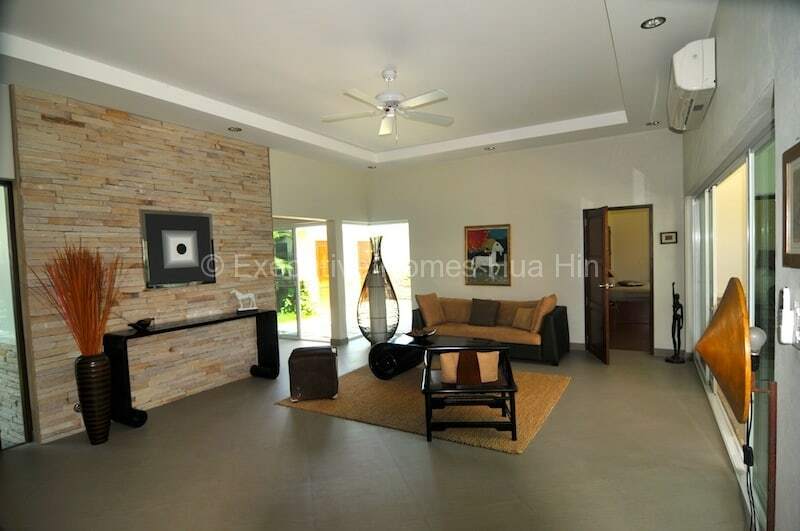 Hana Village 1 is a very high quality development with no communal fees. 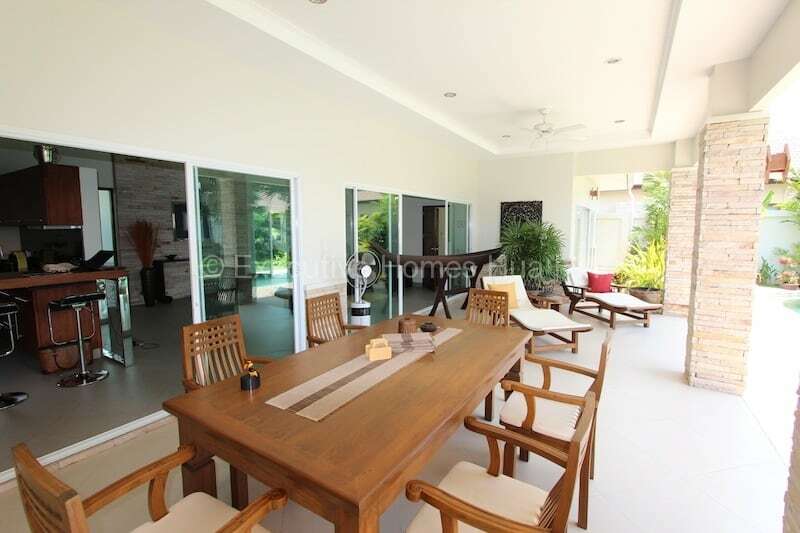 This particular pool villa has gorgeous gardens, and is constructed by one of the most respected developers in the area. The quality of the development is surpassed by none. 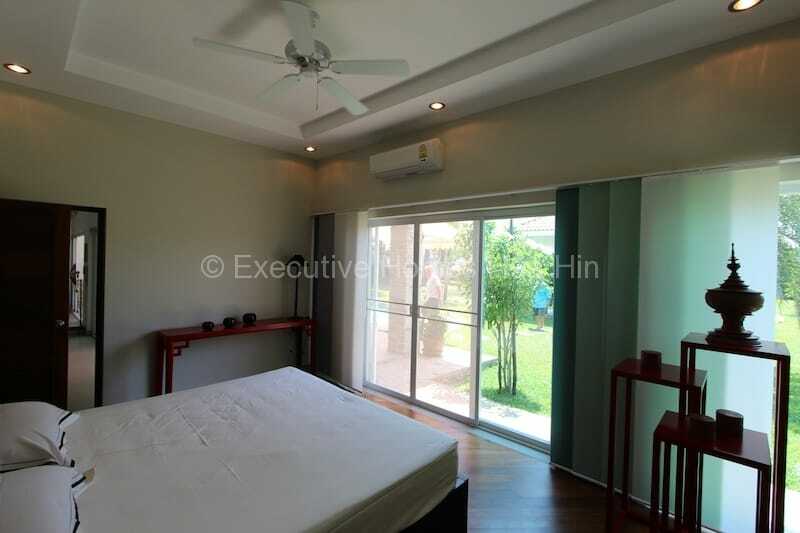 This 2/3 bedroom, 3 bathroom Hua Hin home for sale is finished with a teak kitchen, hardwood floors in the bedrooms, high quality tiles throughout, and top quality appliances. There is a private lake stocked with large Koi and turtles. The lush, manicured gardens have been lovingly cared for by an avid gardener. There is a high quality, European-style kitchen; 2 large en-suite master bedrooms, each with walk-in closets; a spacious office area that could easily be utilized as a 3rd bedroom; a large utility and laundry room with ample storage. The home has a lot of natural light and was designed with an open floor plan to allow for a constant breeze to circulate. 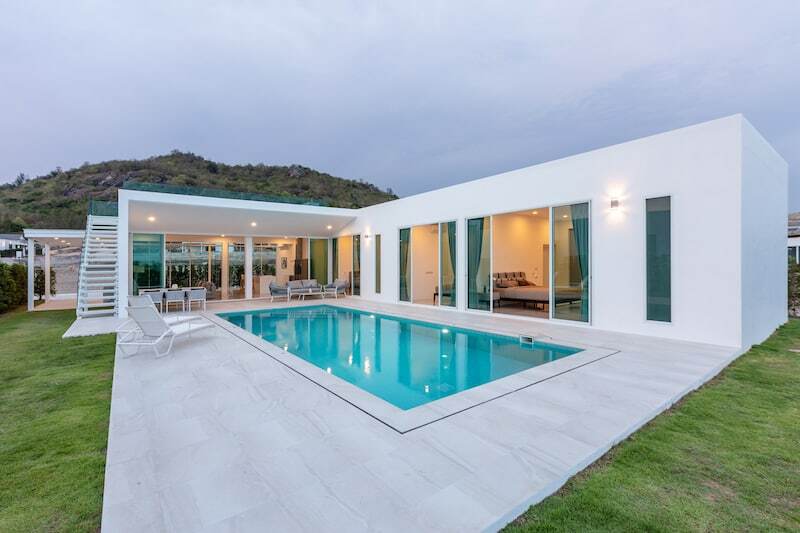 There is a large, covered terrace which allows one to enjoy the outdoor lifestyle at any time of day, and ceiling fans throughout–both inside the house and on the terrace–for added comfort. 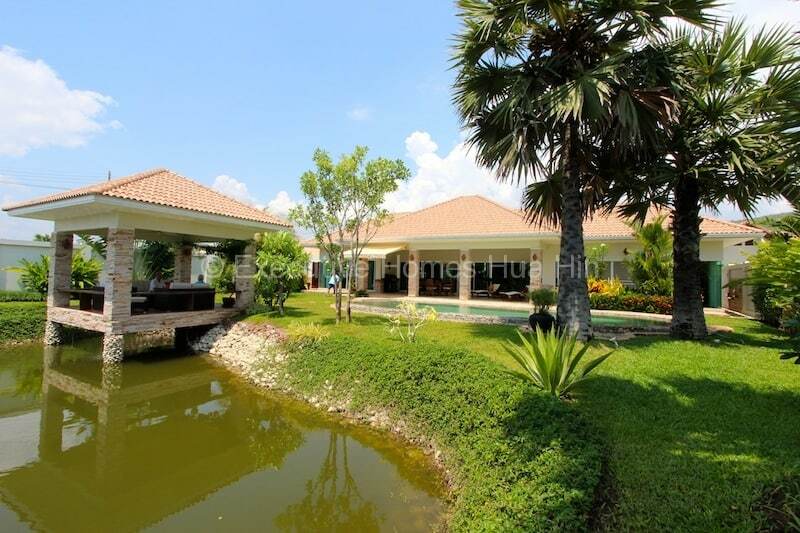 There is an amazing sala overlooking the lake, mature trees in the oversize garden, a water feature, and an infinity edge swimming pool. The house also has a covered, two-car garage. 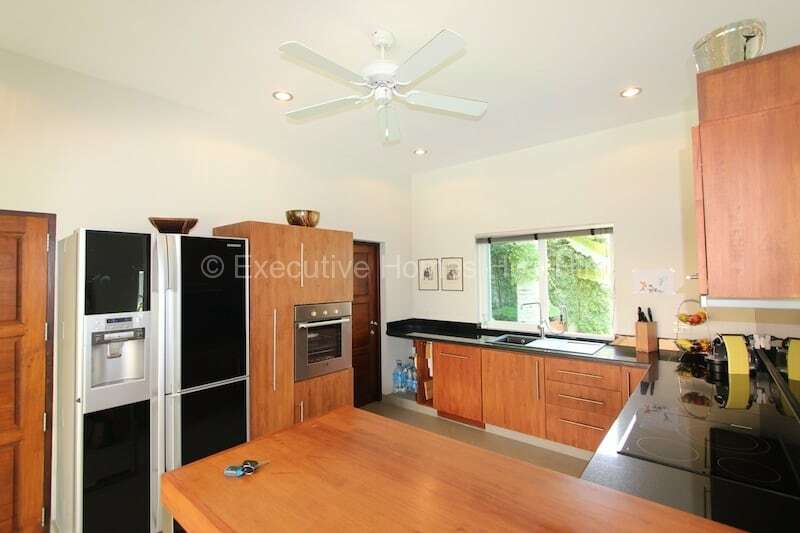 The house is located 1.5 km to the beautiful Kao Kalok beach. 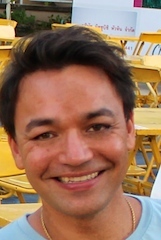 There are many local and high-end resorts, restaurants, shops, massage, etc. 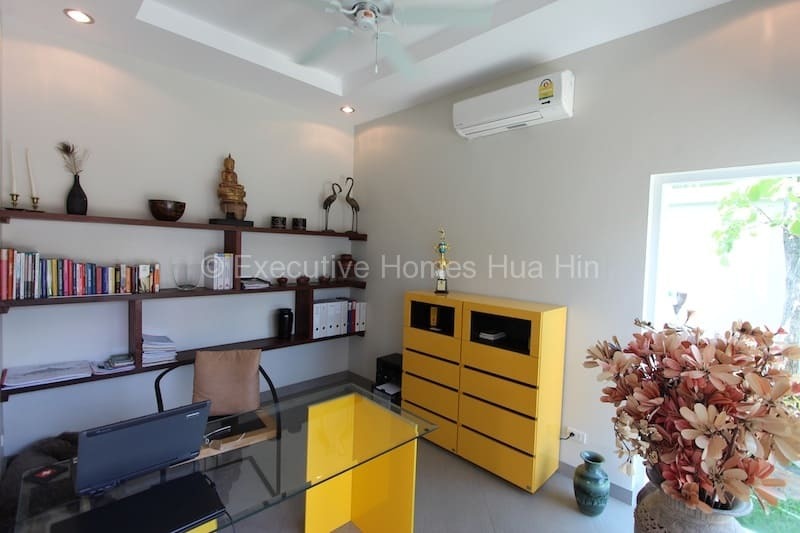 within only a couple km, and the town of Pak Nam Pran is less than 10 minutes away, and downtown Hua Hin is approximately 25 minutes by car. 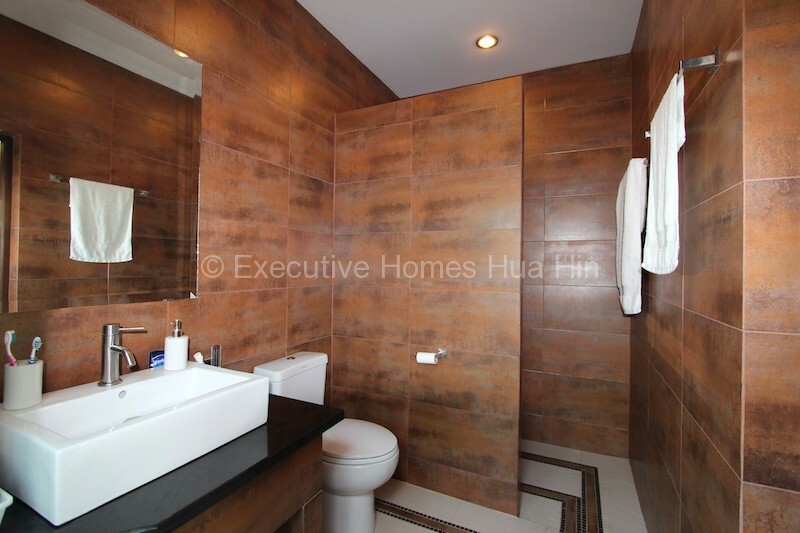 For more information and to schedule a viewing of this Kao Kalok home for sale, please contact Executive Homes Hua Hin at +66(0)85.264.2158.